Home » Telugu » News » Is Sri Reddy a part of Nani’s Bigg Boss Telugu 2? Is Sri Reddy a part of Nani’s Bigg Boss Telugu 2? Amid everything, reports are doing rounds controversial actress Sri Reddy will be one of the contestants of the show and has been recommended by Nani. The controversial reality show, Bigg Boss Telugu season 2 is all set to return to the television. 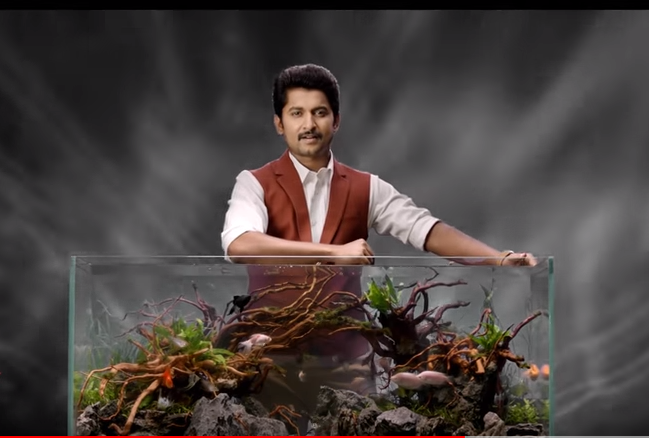 The first season of the show was hosted by Jr NTR and now, the second season will be hosted by actor Nani. Ever since the second season was announced, there has been curiosity among the fans regarding the participants and a lot more. The makers are doing their best to keep the contestant list a complete secret and will be unveiled only a day before the show will go on air. Amid everything, reports are doing rounds controversial actress Sri Reddy will be one of the contestants of the show and has been recommended by Nani. Well, sorts of reports also suggest that the makers of Bigg Boss Telugu 2 are not interested to bring Sri Reddy onboard for the obvious reasons. Reportedly, the organizers are not willing to take her up on the show. Now only time will tell if Sri Reddy is a part of the show are no. To uninitiated, Sri Reddy’s casting couch stories took Telugu industry by storm. One after another, Sri Reddy revealed pictures and stories of casting couch that left everyone’s eyes open. She went on to reveal names of the actors and producers who exploited her on the name of giving her work. One of the names included Telugu film producer Suresh Babu’s son Abhiram Daggubati. Meanwhile, the first episode would be telecast on Star Maa from June 10th. With 16 participants, Bigg Boss Telugu season 2 will be aired at 9:30 PM on weekdays and at 9:00 Pm on Saturday-Sunday. Currently, Nani is shooting for a multistarrer project with Nagarjuna Akkineni under the direction of Bhale Manchi Roju fame Sriram Aditya. He would start shooting for the pilot episodes in the second week of June.